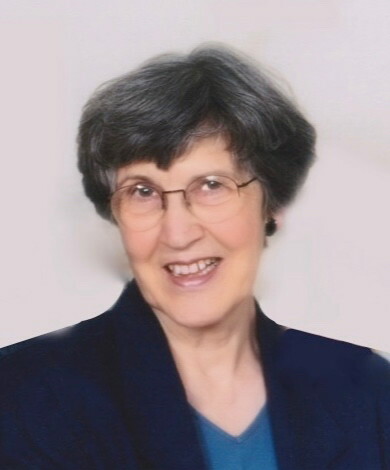 Patsy Basford Davis of St. James, Missouri fell asleep in Jesus Christ on Tuesday, March 27, 2018, at the age of 85, dressed in the righteousness of Christ by grace through faith. Patsy Sue Basford was born on January 21, 1933 to parents: Ruble Eugene Basford and Velva Pearl Robertson Basford in St. Louis, Mo. Patsy was united in marriage to Russell Davis on November 21, 1952 in Salem, Arkansas. Patsy was a loving wife, mother and grandmother. After attending high school in St. James, she worked at several places including the International Shoe Factory, California Manufacturing and Hutcheson Ford. But one of her biggest passions was her joy of reading and the adventure of books. This path led her to a job at the James Memorial Library in St. James. She retired from the library after many years of service, but still made weekly (sometimes twice-weekly) trips to the library to check out new material. Patsy also loved to sew and quilt, a passion she shared with her daughter. She also enjoyed yoga and exercise, often shocking others in her exercise classes when she revealed her age. Above all, she loved supporting and caring for her family, always staying in touch and looking forward to the next time they were to be together. Patsy was baptized in the Bourbeuse River in her mid-teens, along with her mother and sister, Shirley. As a faithful member of the St. James Church of Christ, Patsy's warm heart and love for the Lord manifested itself in the help she gave others. Her influence and faith will live on through many including her children and grandchildren. They look forward to reuniting with her and spending eternity together. Patsy Davis is survived by daughter Kathe Dougherty and husband Ron of Lawrence, Kansas; sons Gary Davis and wife Kathy of Springfield, Missouri. ; and Jeff Davis and wife Nancy of Wylie, Texas; and two grandchildren: Spencer Davis and wife Kaylyn of Collinsville, Oklahoma. and Andrew Davis of Oklahoma City, Oklahoma. Patsy is also survived by three sisters and their spouses: Shirley and Tony Kinsey, Janet and Butch Davis, and Mary Jane and Robert Tessaro; and one sister-in-law: Mary Basford. Preceding Patsy Davis in death were her husband: Russell Davis; parents: Ruble and Velva Basford and one brother: Gene Basford. Visitation will be from 11 AM to 1 PM on Saturday, March 31, 2018 at the Jones Funeral Home at 200 S Meramec St, St James, Mo. Memorial Service will be conducted on Saturday, March 31, 2018 at 1 PM at the Jones Funeral Home with Lynn Huggins officiating. Interment will be in the Oak Grove Cemetery near St. James, Mo. Memorials may be made to the St. James Church of Christ (685 Sidney St, St James, Mo.) or the James Memorial Public Library (300 West Scioto St., St James, Mo.). All arrangements are under the direction of the Jones Funeral Home in St James, Mo.